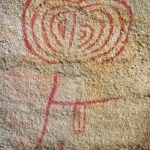 Chongoni has both red and white painting sites as well as bichrome (red and white) paintings superimposed. 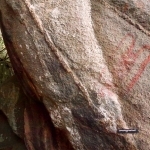 These paintings, some of them centuries or more old, are a unique form of cultural heritage which are exclusive to Malawi. 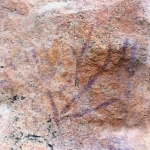 This small area, most of which was once forest, contains almost as many rock art sites as have been recorded in the whole of Malawi (Smith 1997). 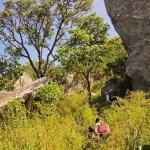 Situated in a landscape of semi-forested granite hills is the Chongoni World Heritage Site at Dedza. 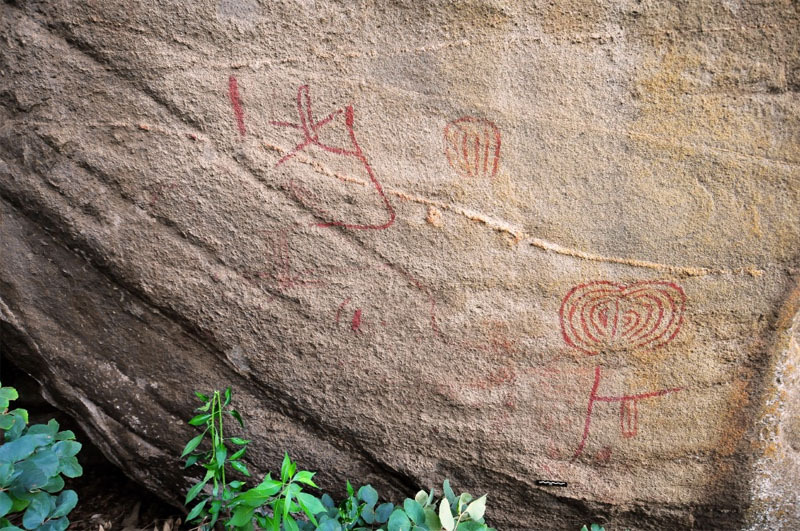 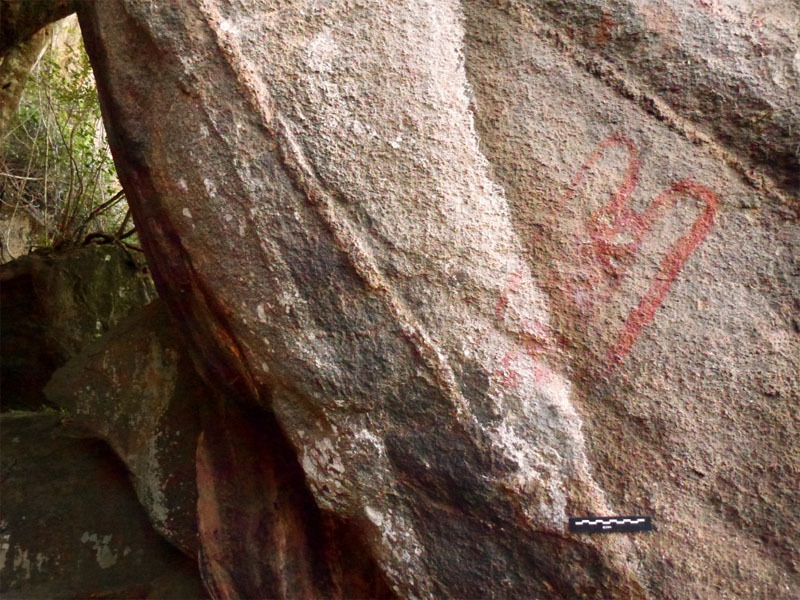 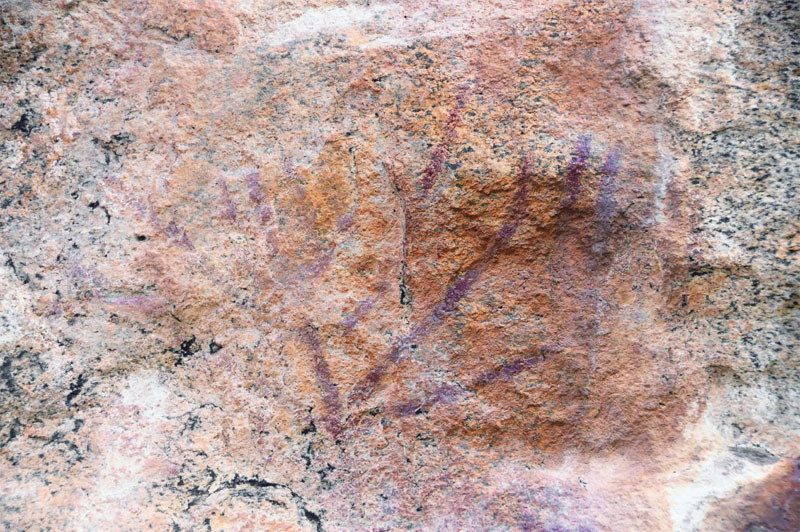 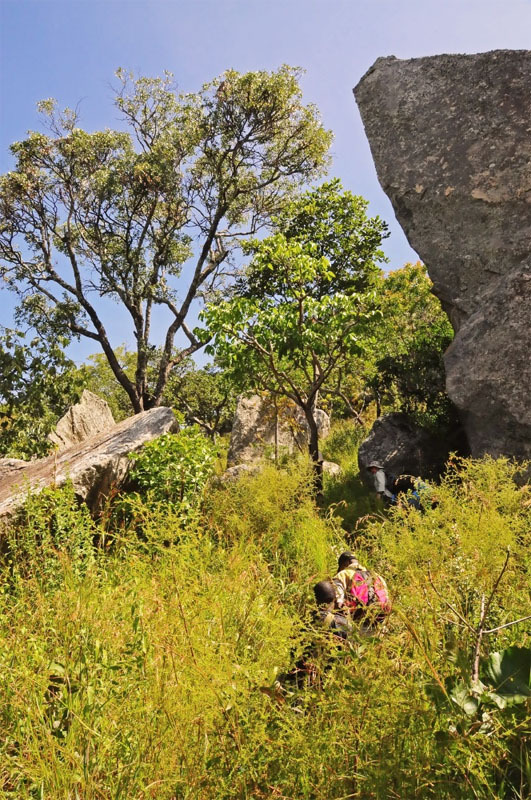 So far, 127 rock art sites have been located and recorded in the cluster of gneiss hills, covering an area of 126.6 square kilometers; and some in the nearby hills of Mphunzi, Nthulu, Chingwenembe and the Banda Hills. 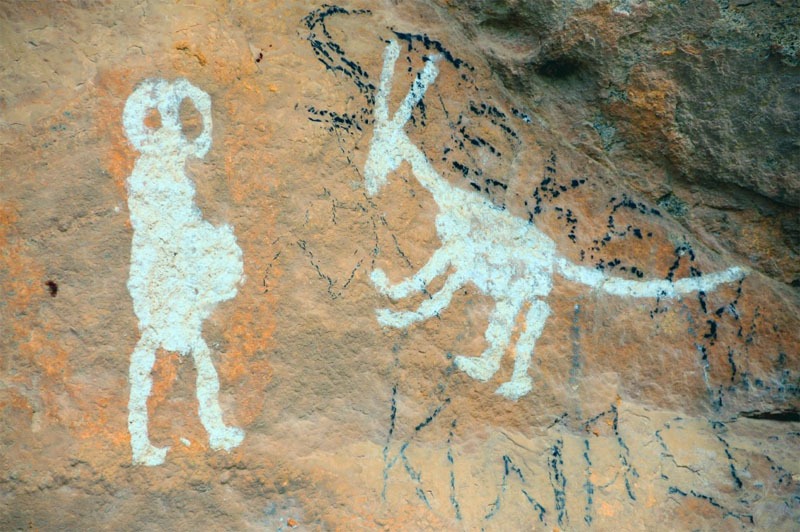 These sites make up one of the richest concentrations of rock paintings in this part of Africa. 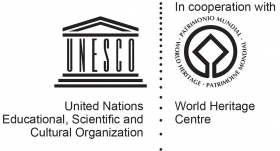 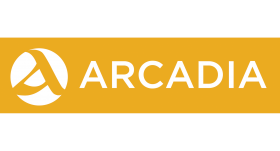 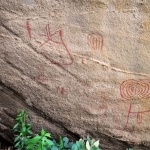 Most sites contain red, schematic designs, some enhanced with white in-fills or tiny white dots, and a few at Namzeze are polychrome (red, yellow and white). 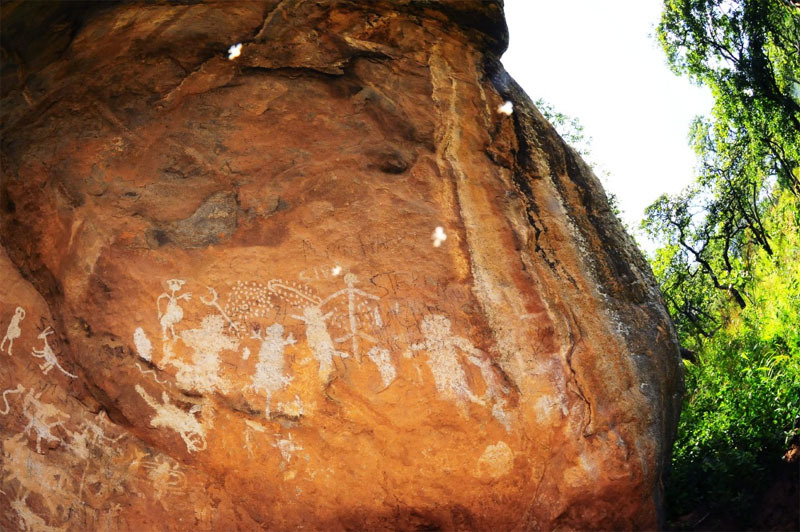 These paintings are attributed to Abatwa (Akafula), hunter-gatherers who disappeared in the mid 19th century. 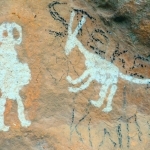 All sites contain Late White paintings made by Chewa agriculturalists and used in their rite-of-passage ceremonies. 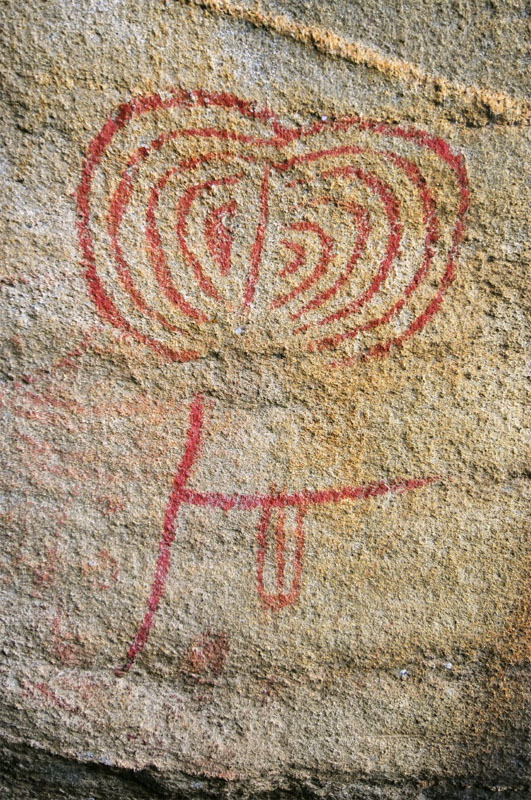 Those painted in flat white (and very rarely in black) by women for chinamwali ceremonies usually depict reptile-like zoomorphs. 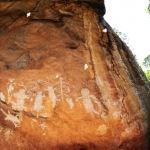 The other Late White paintings, also painted in flat white and by men for nyau ceremonies, depict animals, mythical animals, people and even motor cars. 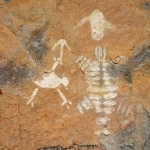 Paintings also depict spirits and are similar to masks worn in secret dances. 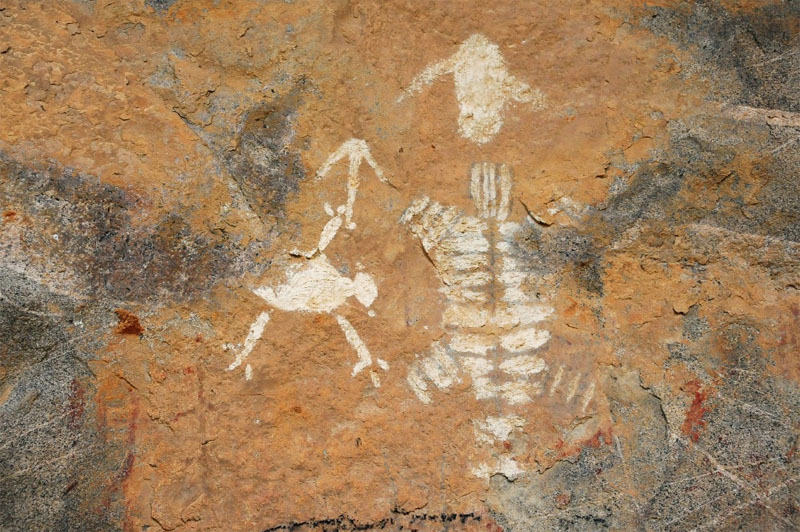 Saurian’s figure prominently in the White art.